Dwayne K. Flickinger is a licensed real estate broker and certified real estate appraiser in the State of Ohio for over 30 years. Kent State University was the foundation for his educational training. He financed his way through college as the owner/operator of a landscaping business. Dwayne acknowledges special gratitude to former US Senator and honorable John Glenn. In 1989 Senator Glenn wrote a letter of recommendation to HUD on Dwayne’s behalf that essentially opened the door to do real estate appraisal assignments for The United States Department of HUD/FHA mortgage financing program. Dwayne has served on various committees in the regional area including East Central Ohio Association of Realtors Professional Standards & Ethics, past president of Bolivar Village council, St. Paul Lutheran Church council and environmental group Club 3000. Quality of life is important to most families and real estate values. In his spare time he enjoys the company of family, good friends, hunting, sailing, outdoor recreation, music, theater, wine making, gardening and traveling. 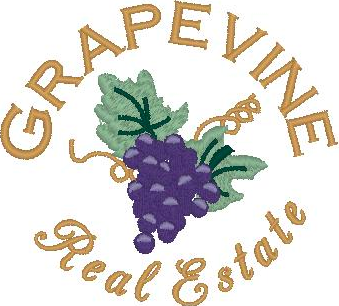 Grapevine Real Estate, Appraisal & Auction is a very experienced, professional, skilled, diverse and full service team. Please call Dwayne today at 330-874-3120 for consultation on all of your real estate needs.